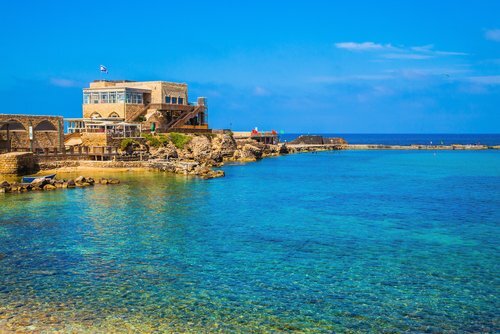 This Classic Israel Gems Tour of 10 Days takes you on a journey to the land of where it all began. Join us on a magnificent journey through Israel by exploring the countries Jewish and Christian Heritage. Boutique Groups. Better Experiences! Welcome to beautiful Israel! We will arrive at Ben Gurion airport and be met and assisted by a Shalom Journeys representative before proceeding to passport control. Following passport control, we will be transferred to our hotel located in the coastal city of Tel Aviv. Depending on our arrival time, we will enjoy the remainder of the day at leisure. A day to rest up before we embark on the Israel Gems Tour of 10 Days. BREAKFAST. After our Israeli breakfast, we will take a scenic drive to the mystical city of Safed. Safed is the center of Jewish mysticism. Here we will visit the ancient synagogues and walk through the artist colony. Our journey continues North to the Golan Heights to see the former Syrian bunkers, located in the city of Kuneitra. Time for some fun! Our next stop is at the Golan Winery for a tour and some wine tasting. To conclude the day, we proceed to “Golan Magic” for a multimedia presentation of the area and its history. BREAKFAST. Today we begin our tour with a visit to the city of Nazareth. Here we will see the Church of Annunciation. Our tour continues towards Tiberias; The first stop is at Capernaum, home to Jesus, to see the ruins of the synagogue and octagonal Church of St. Peter. We will take a short drive and visit the Mount of Beatitudes, where Jesus delivered the sermon on the mount. To conclude our tour for the day, we proceed via Beit Shean to Beit Alpha to see the remains of the mosaic floor of an ancient synagogue. Our group will continue to Jerusalem for our check-in and our overnight sleep. BREAKFAST. Our journey continues through the Judean hills to the Qumran caves, where the Dead Sea scrolls were found. From here we continue along the shores of the Dead Sea to Massada, the last stronghold of the Jews after the destruction of the Second Temple in 70 A.D. We will ascend Massada by cable car and explore the mountain fortress built by King Herod. Some notable sites include the remains of the walls, water cistern, and Herod’s Palace. EARLY BREAKFAST. Enjoy our last Israeli breakfast. Following breakfast, we will be transferred to Ben Gurion Airport for our departure back home. 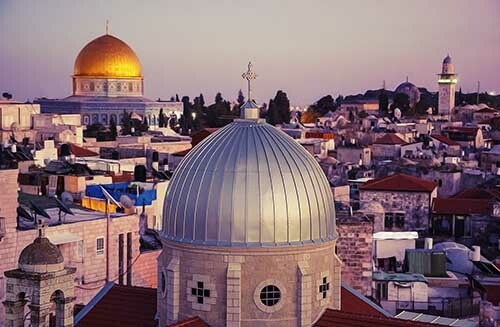 Return home with lifelong memories of The Classic Israel Gems Tour and the Holy Land! Shalom Journeys offers Tour Leaders fully custom and tailored Holy Land Program's to meet their exact requirements. Have Questions? Do not hesitate to contact us today. One of our Israel Tours experts will be in touch shortly!